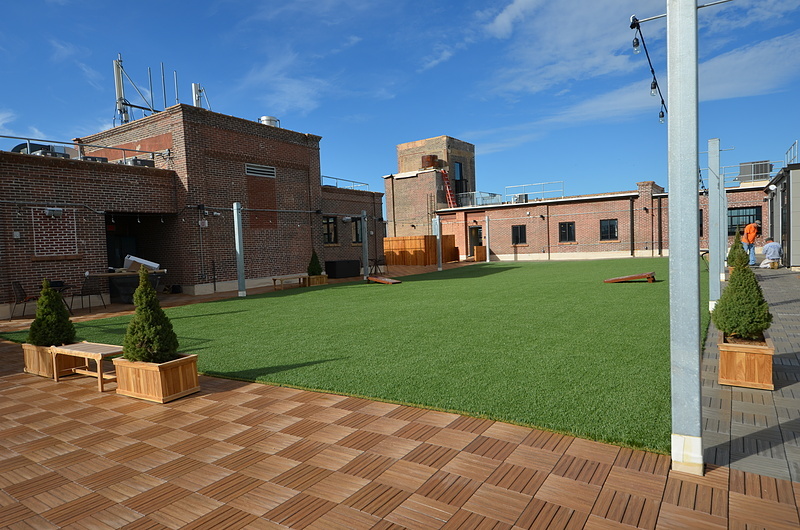 For many buildings, the roof is a purely functional component that protects the building from the elements. 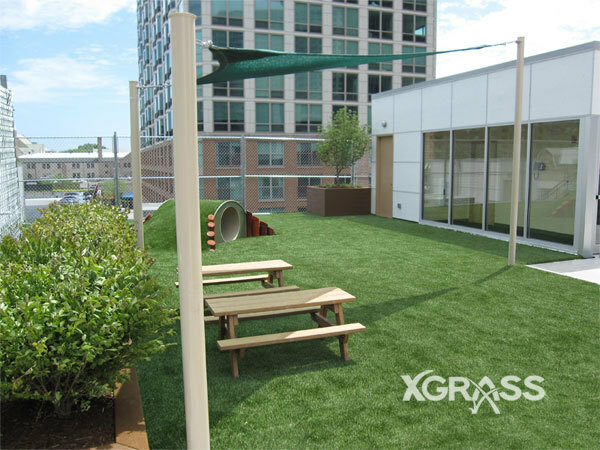 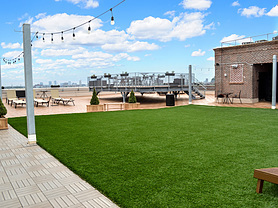 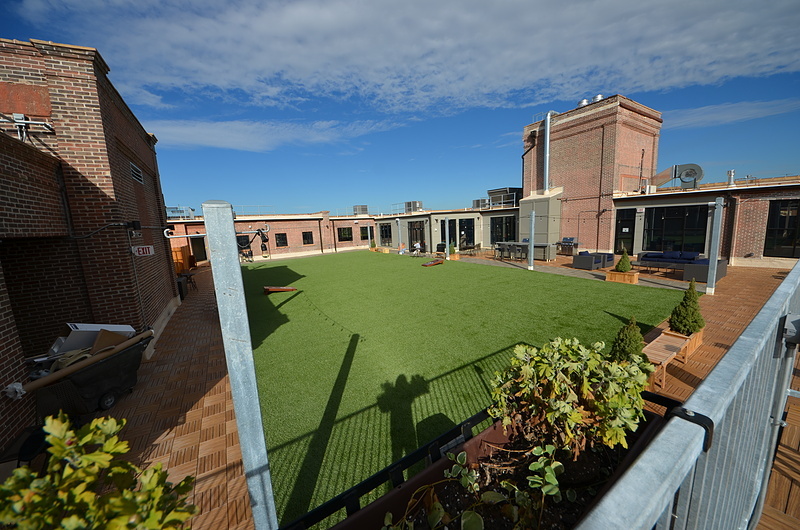 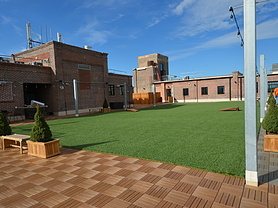 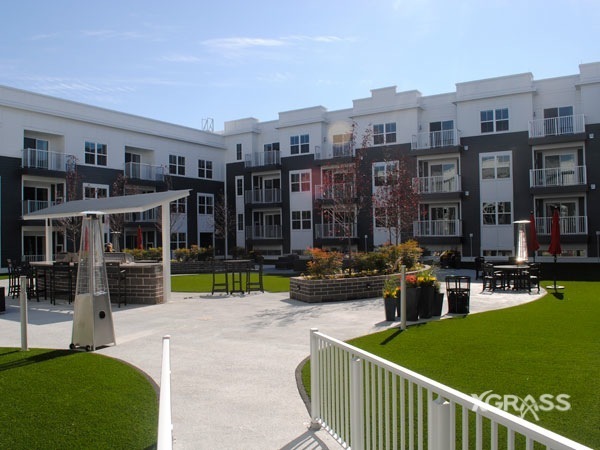 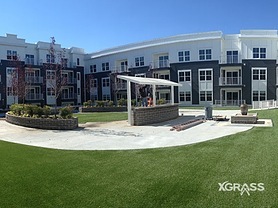 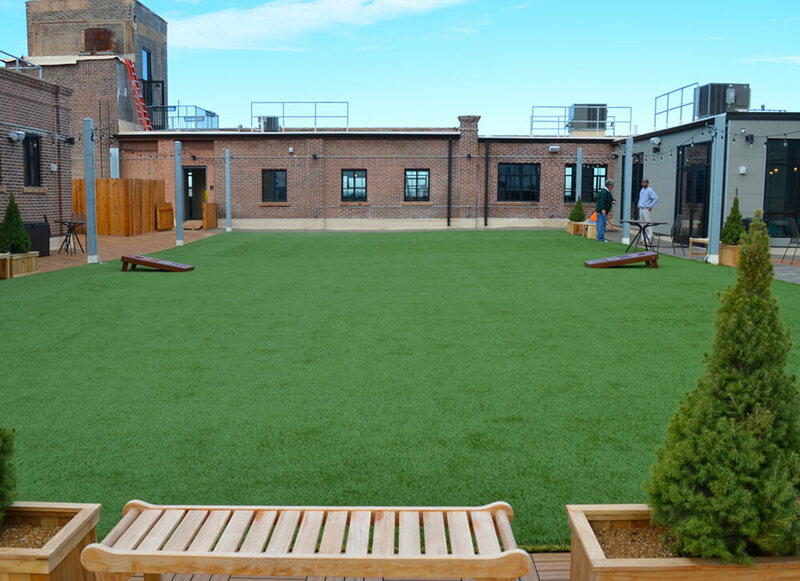 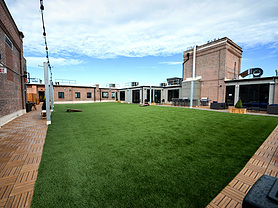 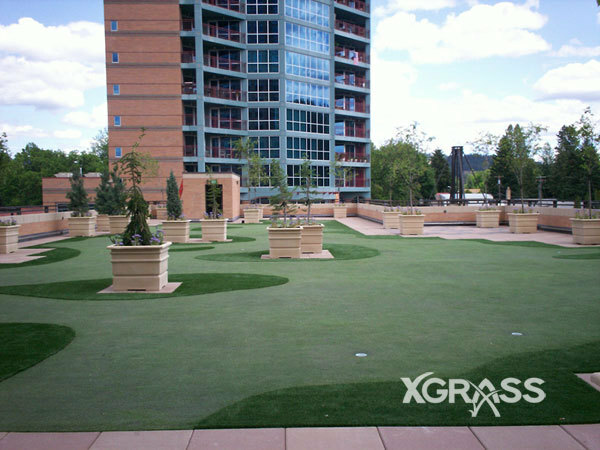 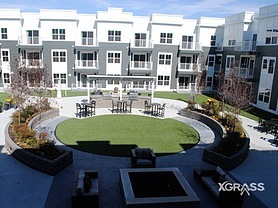 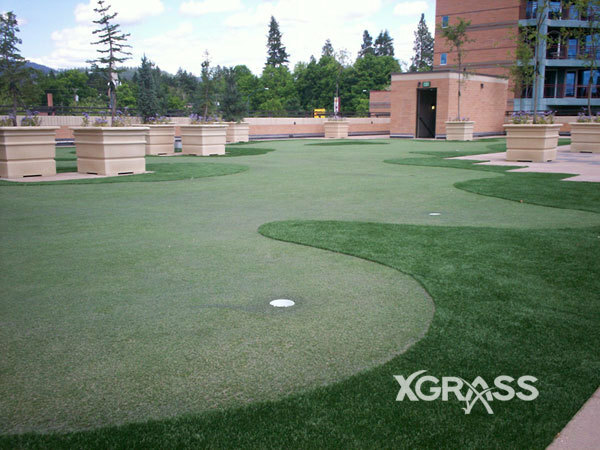 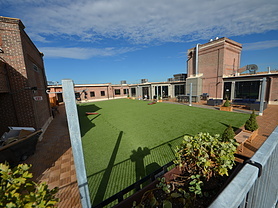 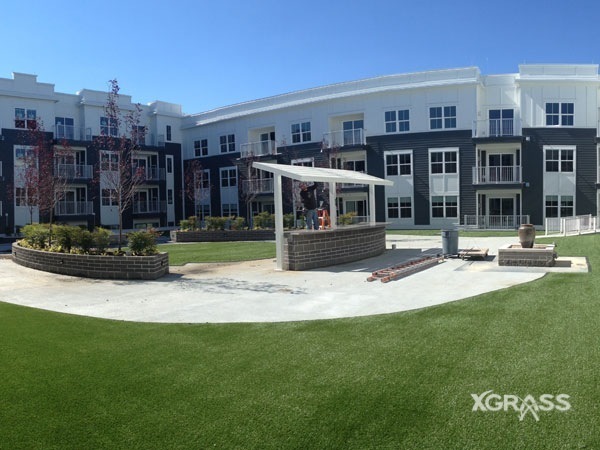 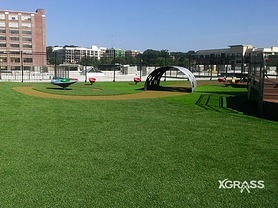 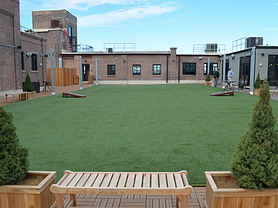 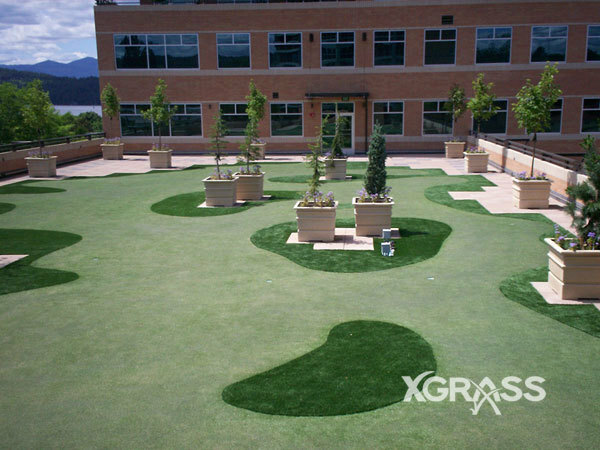 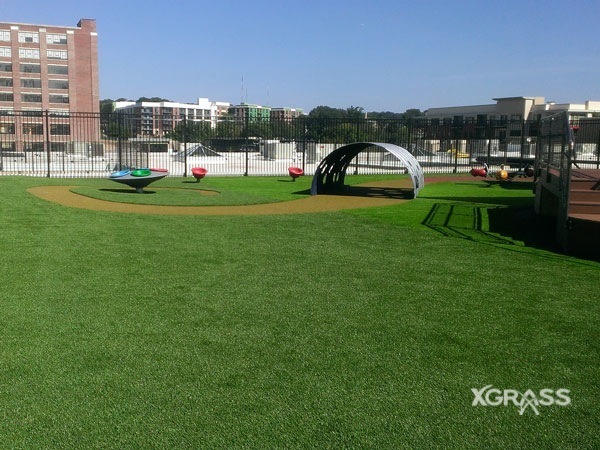 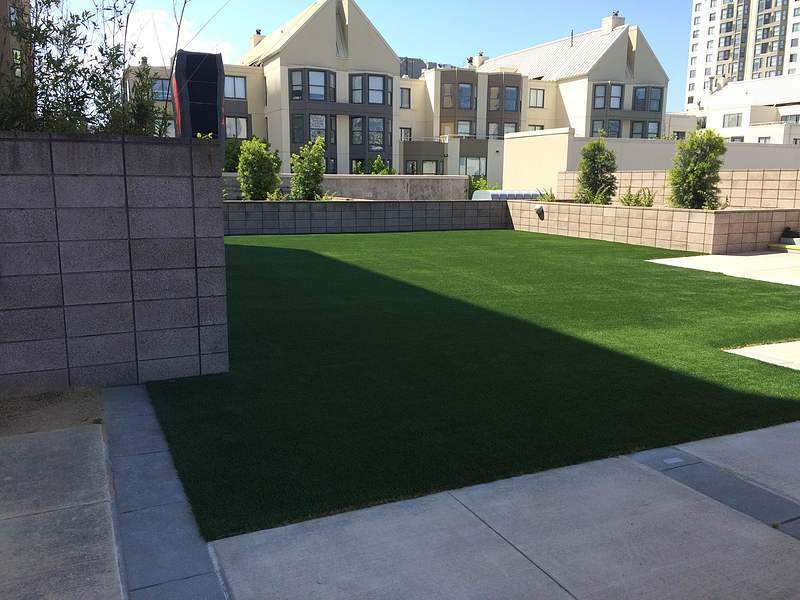 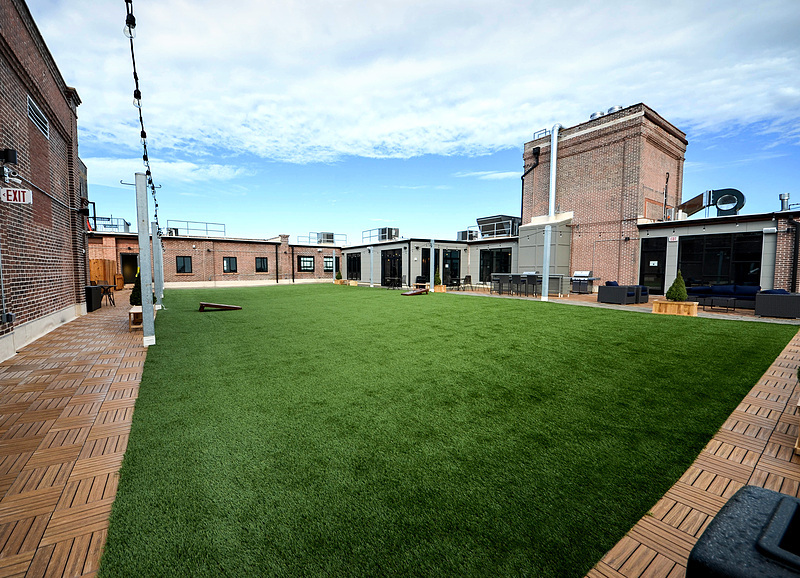 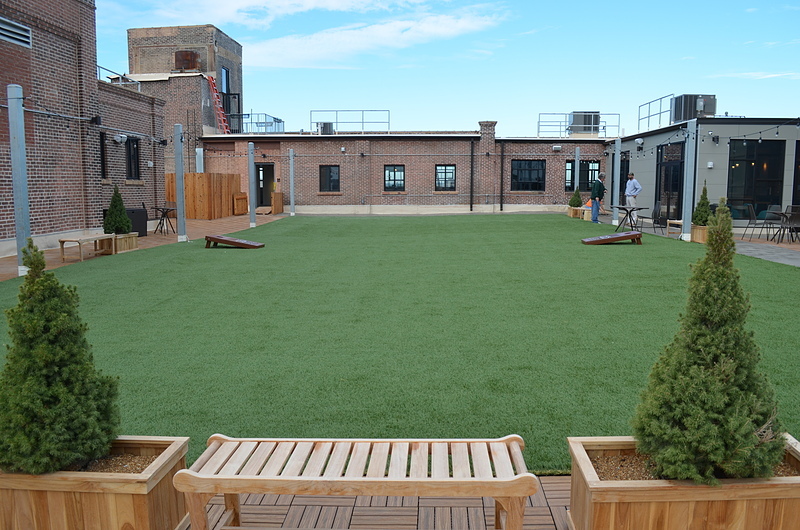 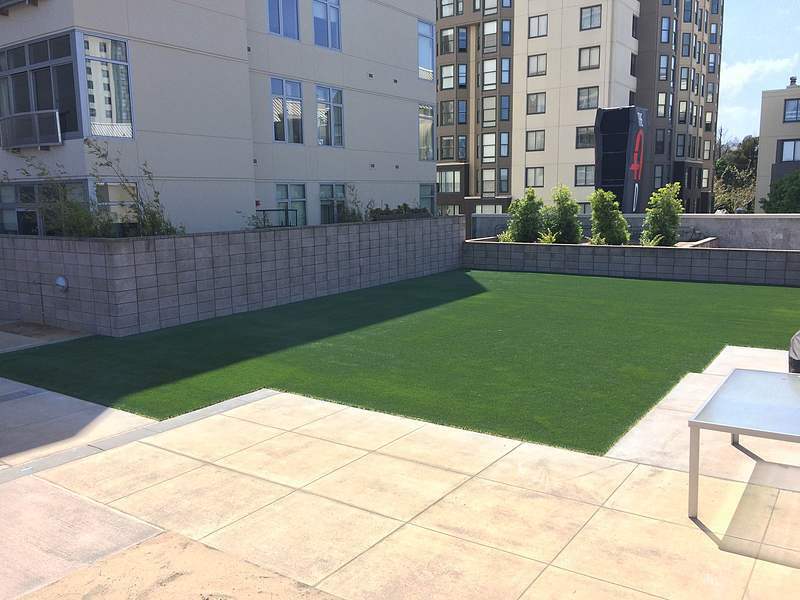 At XGrass, we see rooftops as an opportunity to transform space into a place where people can gather to socialize, enjoy a round of putt-putt golf or just relax in the "healing environment" associated with green spaces. 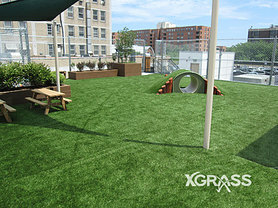 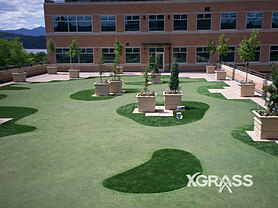 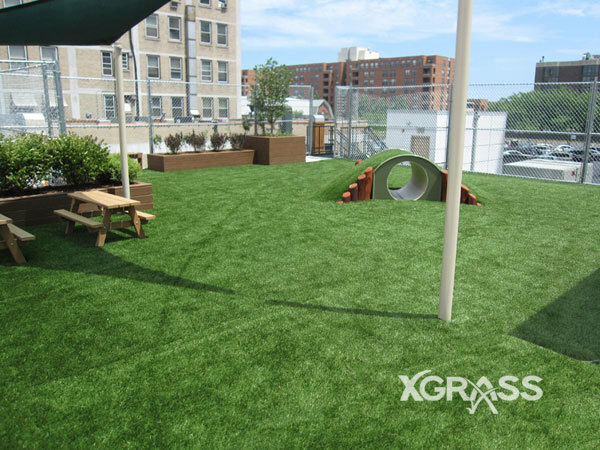 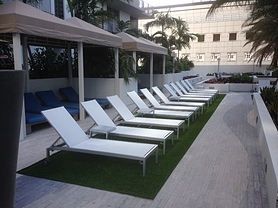 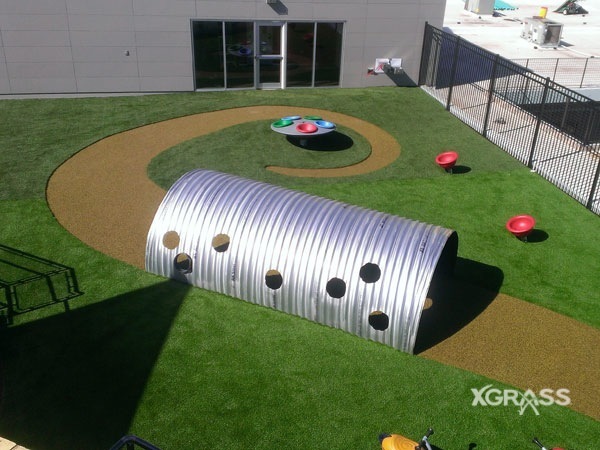 XGrass is soft, safe, comfortable and easy to maintain - making it perfect for rooftop courtyards or play areas. 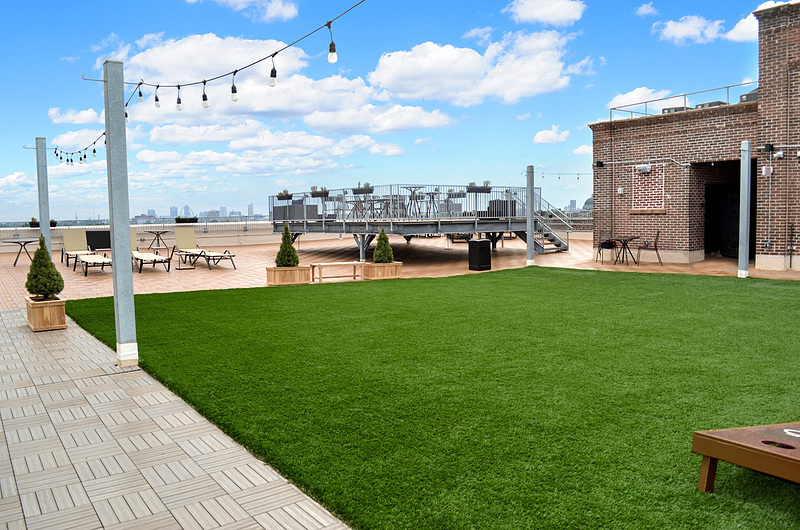 Not only does it share the environmental benefits of all of our synthetic landscaping turf, but it has many other benefits specific to rooftop applications. The key to any rooftop installation of synthetic turf typically lies in ensuring water can drain through the turf and be routed to gutters or drainage systems. Given this, we often recommend using one of our landscape turf products placed on a drain tile system. 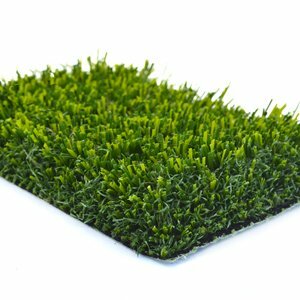 When installed with a concrete border, the turf can be nailed or stapled into the pressure treated support boards and then covered with Envirofill infill to give the turf a more natural appearance and limit any movement or shifting of the turf. 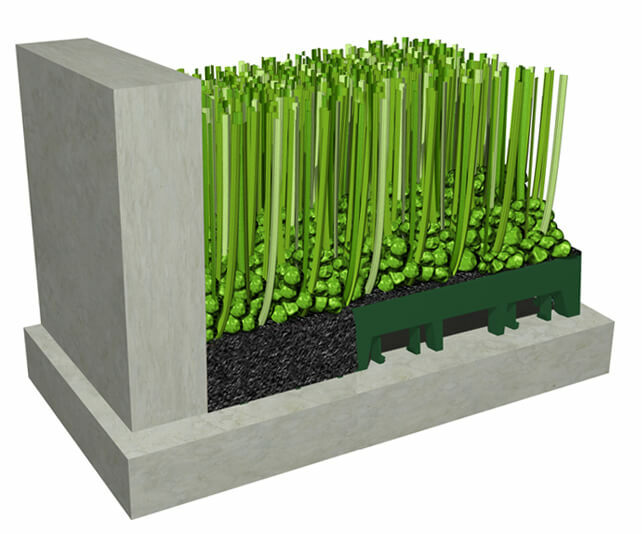 For applications in which nailer boards cannot be affixed to the roof, we will often finish the edges with an SBR insert and then cover the turf with Envirofill infill to give it a more natural appearance and limit any movement or shifting of the turf. 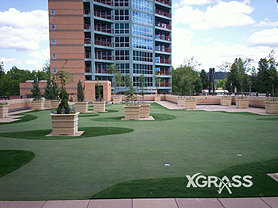 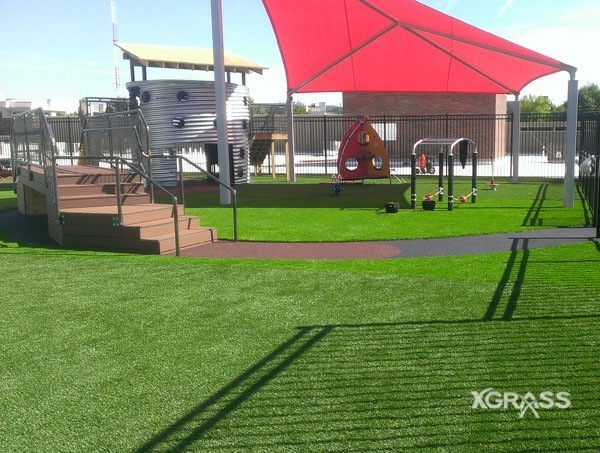 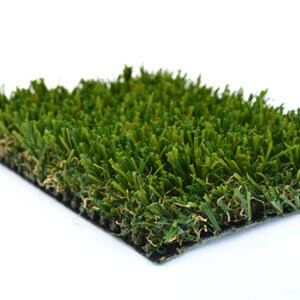 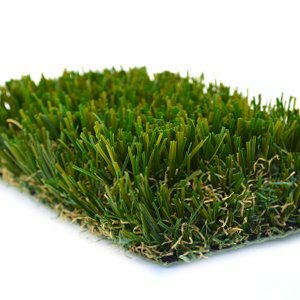 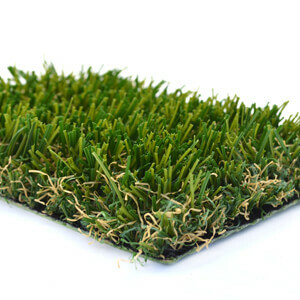 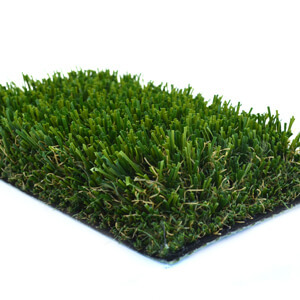 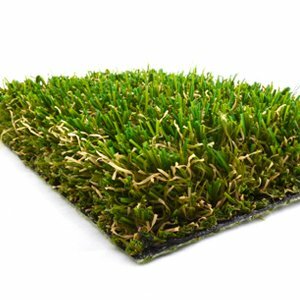 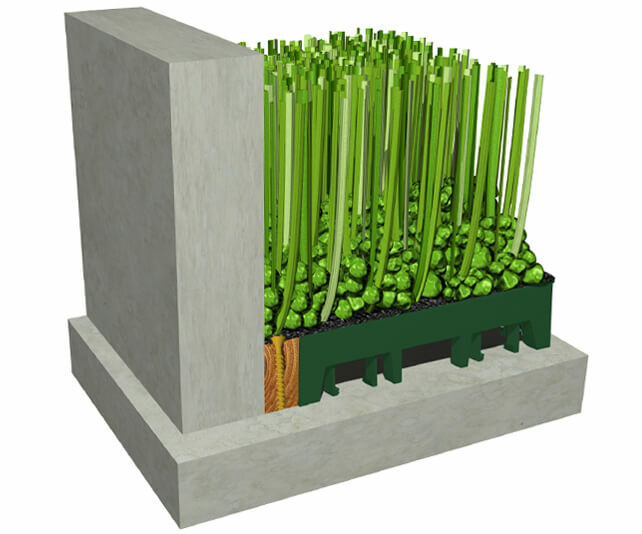 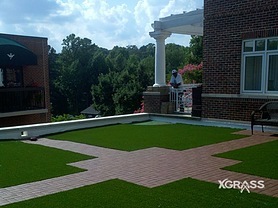 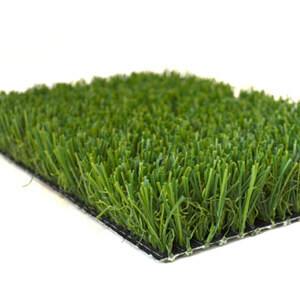 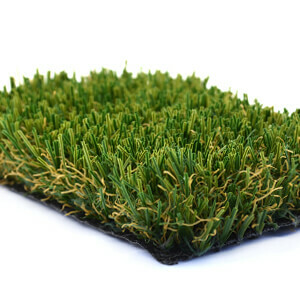 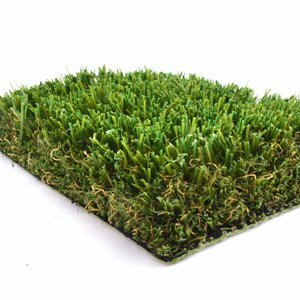 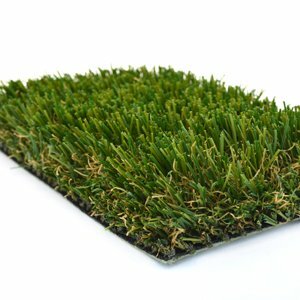 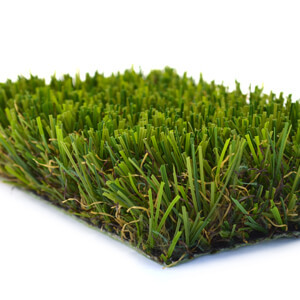 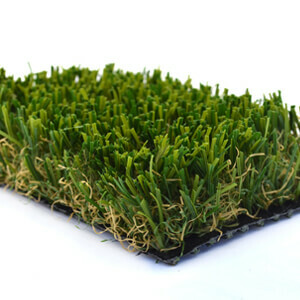 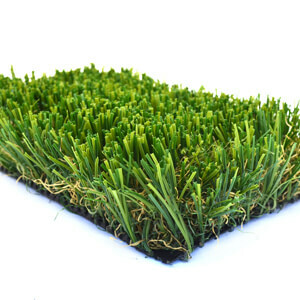 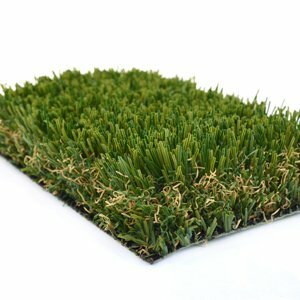 XGrass offers a wide selection of artificial grass products for use in rooftop flooring applications. 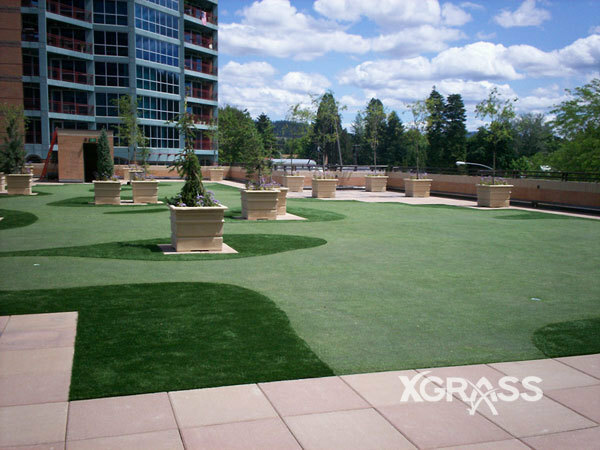 XGrass landscape turf products featuring a permeable backing like DuraFlo tend to perform best and all rooftop installations should be accompanied by drainage tile.